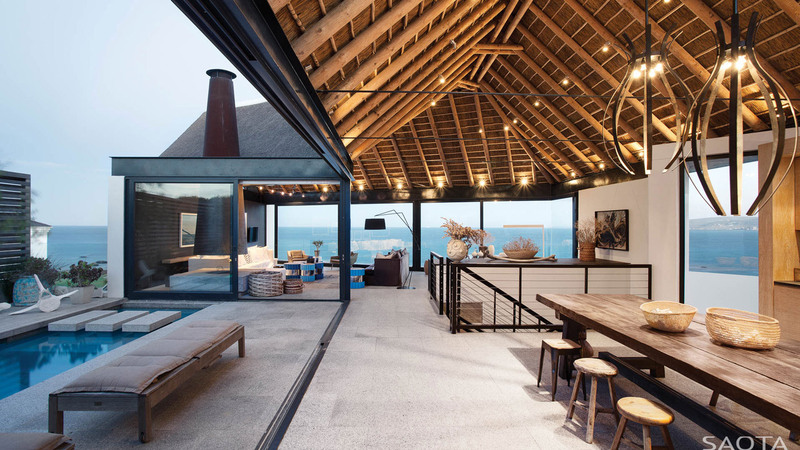 Silver Bay was completed in 2010 by the Cape Town based studio SAOTA. 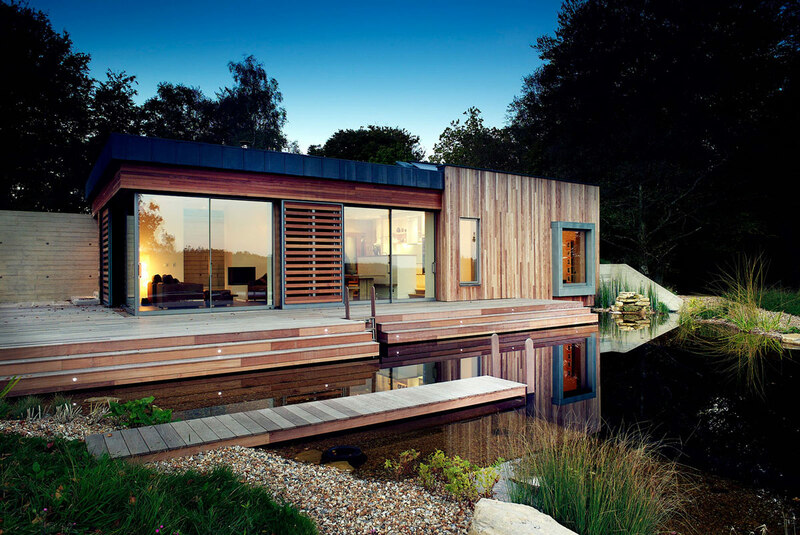 This beautiful modern home has been designed for a young family as a holiday home to be enjoyed by their extended circle of friends and family. 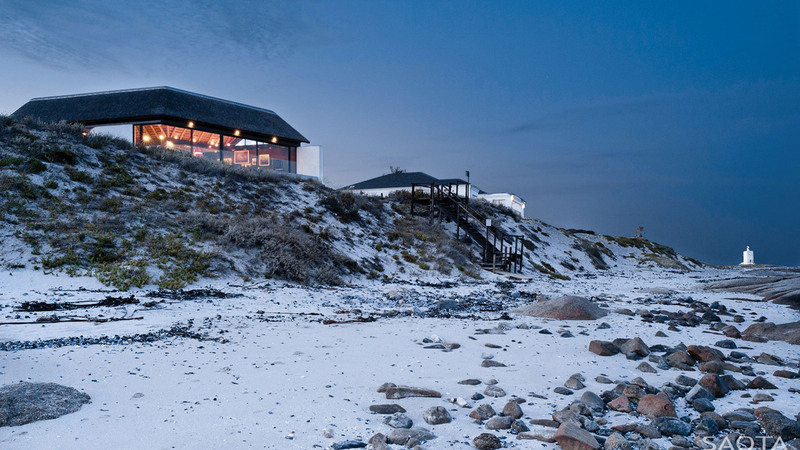 Silver Bay is located in Shelley Point, West Coast, South Africa. 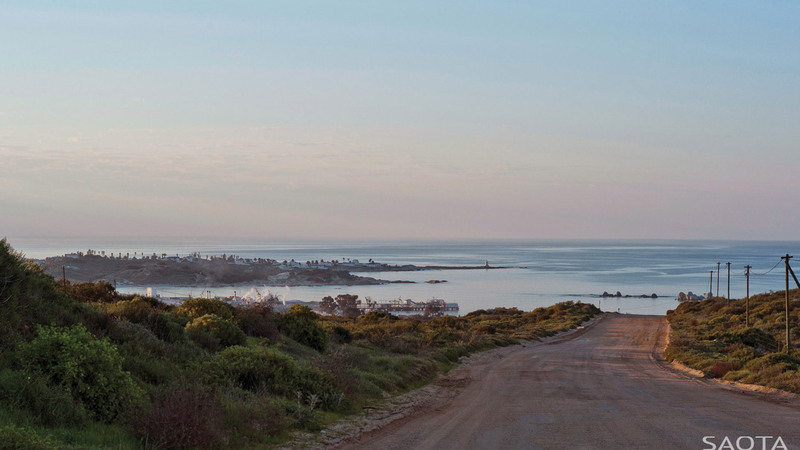 “The site is positioned at Shelley Point on the West Coast Peninsula Uniquely for the West Coast, the site faces East over the bay looking towards the mountains behind the small Swartland town of Aurora. 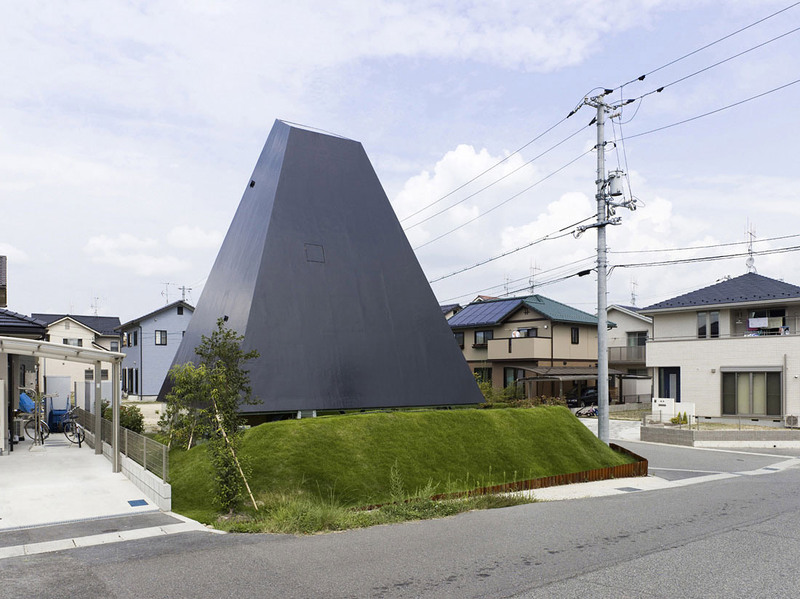 The design is largely formed by three contextual conditions. The first is the elevated entrance which placed the living spaces on the upper level and the bedrooms and playroom on the lower level. 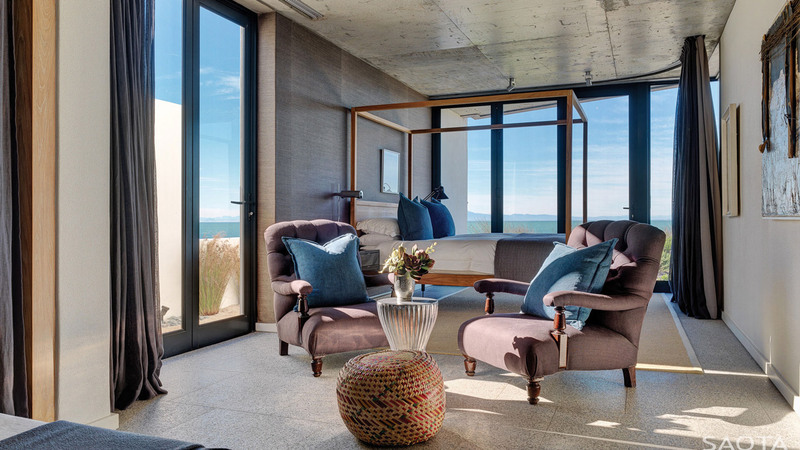 This decision allowed the living spaces to maximise the views of the bay and to see the water’s edge. The second issue is the prevailing South-Easterly wind. The challenge here is that the views are in this direction and a large set of glazed sliding doors allows the maximum view. The third major issue is the sun on the North side. 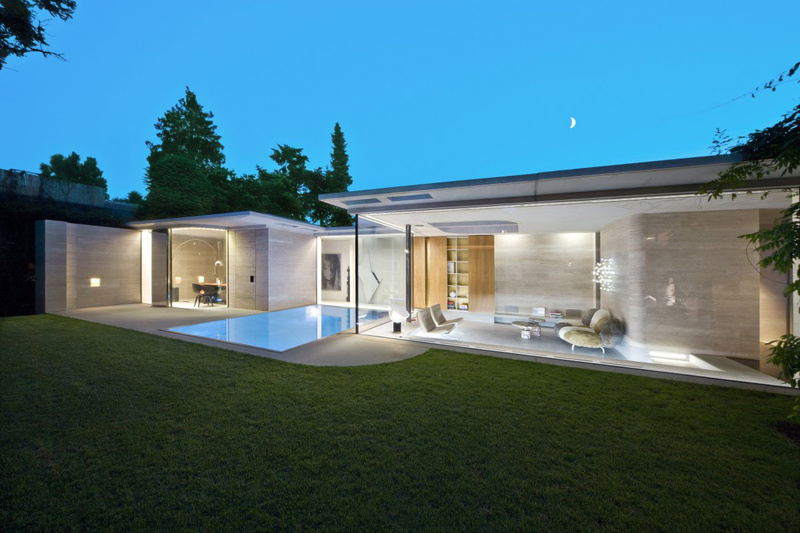 The response to this and to the South-Easterly wind was to position the pool in a courtyard on the Northern face that captures sun for the house and also creates a wind free outdoor space that can be enjoyed year round regardless of the wind. 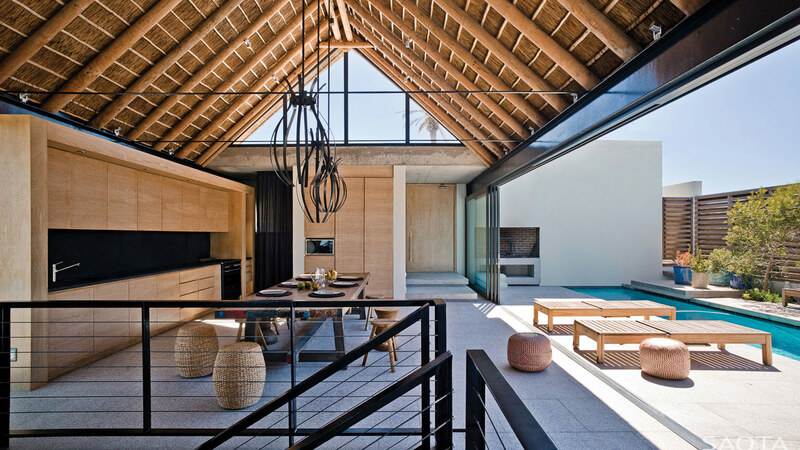 The upper floor has been conceptualised as a single space holding the pool courtyard, an elevated entrance hall, a kitchen with a large table and a dining and living space on the East edge. 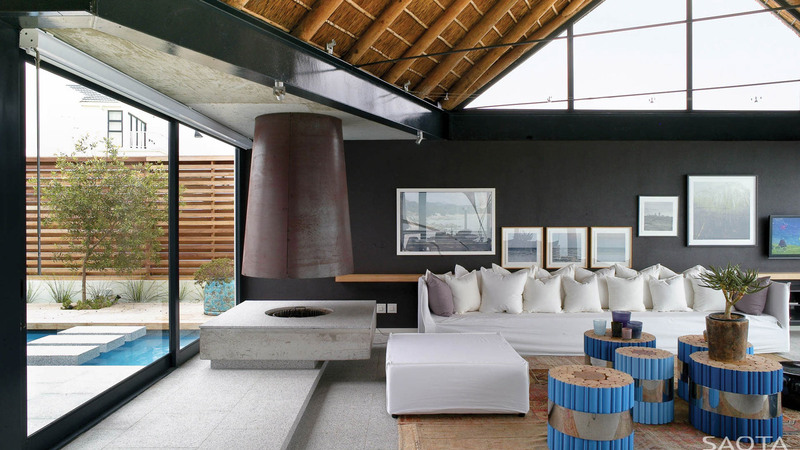 The L-shaped space is broken up by level changes which create distinctly different spaces. 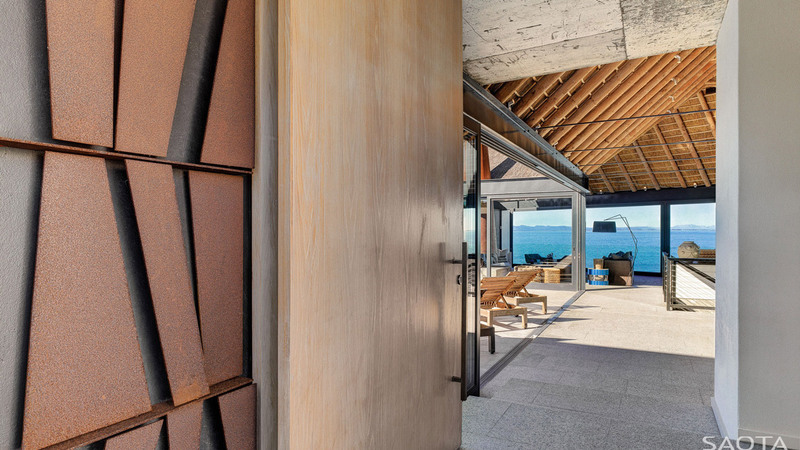 A conical flue made from Corten steel forms a visual element around which the spaces pivot, the rusted surface reflecting the coastal environment. The thatched roof is supported on a perimeter I-beam. 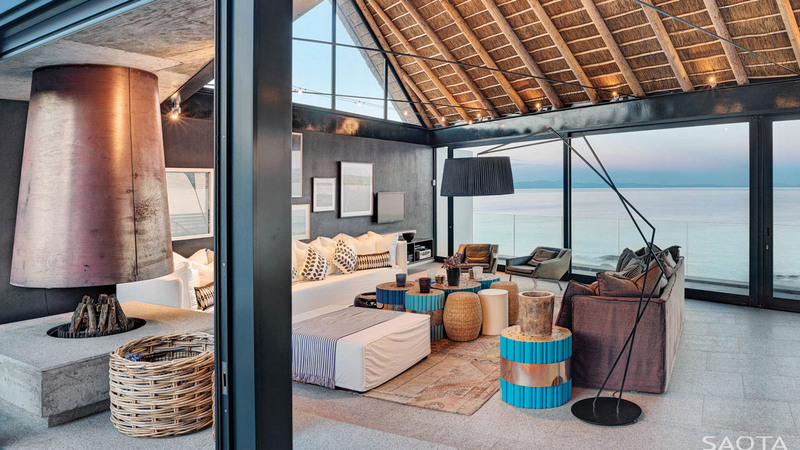 The timber tie beams of the thatched roof are replaced by steel tie rods that allow the open volume of the roof to form the top of the space, the woven thatching grass and the latter forming a counterpoint to the granite floors. 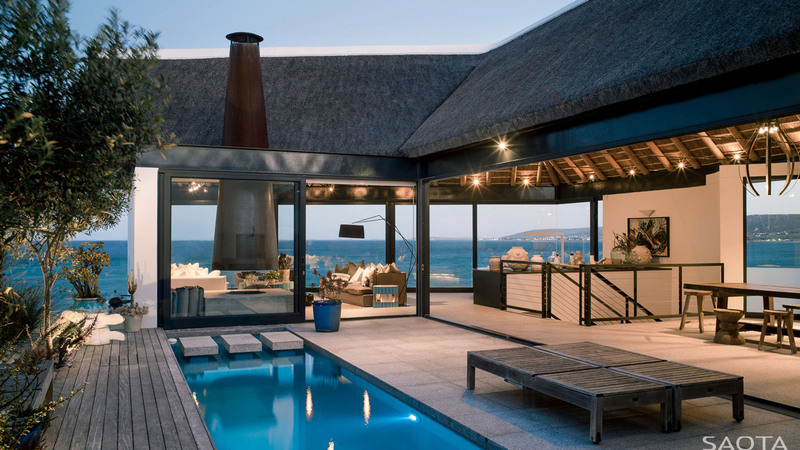 A curved Corten ‘hat’ sits over the braai flue and watches over the pool courtyard, a playful companion for the Corten cone that sits on the other side of the courtyard. The North face of the courtyard is formed by a timber wall. 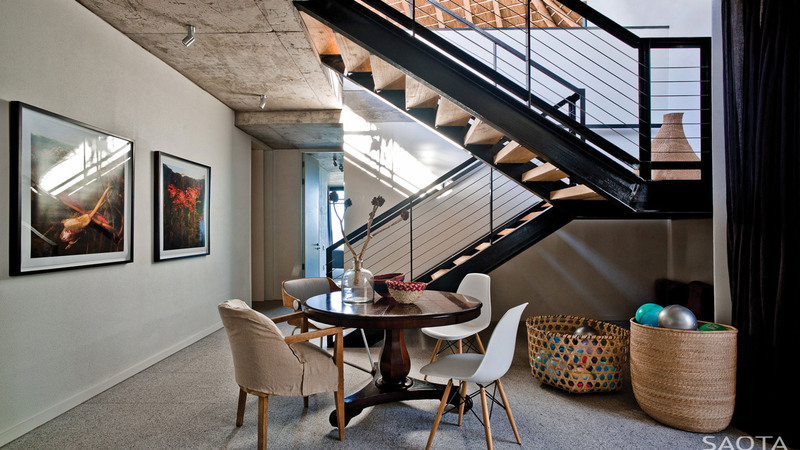 On the lower level, the off-shutter concrete slabs form the ceiling. The slabs retain rust marks from the steel that was laid in the slab and the chalk markings of the contractor. 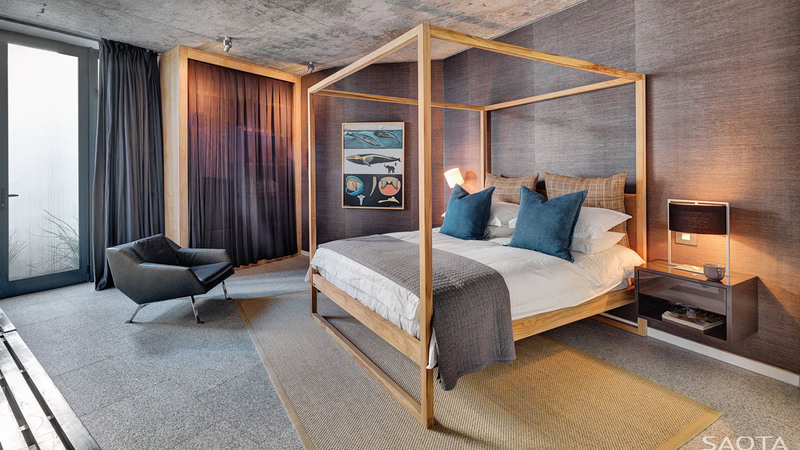 The simple cellular bedrooms have a serrated façade that allows for corner glazing to maximise views. The curtain track was cast into the slab with a radiused corner that creates a cave-like space at night when the curtains are closed. Simple glass walls separate the en-suites from the bedrooms, allowing the two spaces to share a larger volume. The stair connecting the two levels is also made from I-beams with 75mm (2.95in) thick Eucalyptus planks forming the treads.